Bob is an executive who never includes the proper documentation when submitting his expenses. Jane is at the warehouse, but never answers the phone from salespeople who are dealing with clients irate about not getting their delivery. Fred is a clerk who never pitches in to help when his coworkers are overloaded. 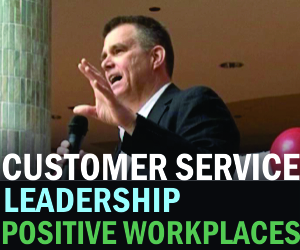 Perhaps the most neglected aspect of customer service is internal customer service. It’s unfortunate, because it plays a pivotal role in an organization’s ability to deliver outstanding service to its external customers. It often seems that there are far too many people who just don’t care when they make their colleagues’ lives more difficult. Bob doesn’t seem to care that he creates more work for people in accounting. Jane doesn’t seem to care about salespeople being put in awkward situations. Fred doesn’t seem to care about overworked co-workers. Appearances, however, can be deceiving. When we talk with the Bobs, Janes and Freds in the organizations we work with, we find that, for the most part, they do care. They’re just unaware of the impact their actions have on those around them. They also don’t realize the negative impact it has on how people perceive them. Take a few moments to think about how your actions, or inactions, affect your colleagues. Treat them as you would your most valued customer. The outcomes will be positive for your organization, and for your career. Having worked in the automotive service industry most all of my life (FoMoCo .. Ford and Lincoln-Mercury Division} I have experienced and seen first hand exactly what your describing in your post. It should be made “Required Reading” in any and all companies policy/procedure literature and all training seminars. It would have certainly made my job considerably easier. Also make sure the customer is happy as without customers you are all out of a job. This is called a Silo effect – knowledge and sharing are key to eliminating and a manager aware that all parts are part of the whole – hard lessons. The first customer is your colleague. An awareness of this gives the opportunity to perfect the service given externally, by practising this daily with our colleagues internally. Practise until it becomes your culture and culture will make it inherent. This is how exemplary service is given time and time again. Thinking about ones personal efficiency whiles considering the efficiency of other colleagues does not only make the colleague raise his/her game but leads to the efficiency of the organization as a whole.